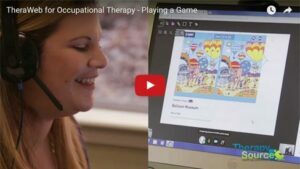 Therapy Source employs Speech-Language Pathologists (SLPs), Occupational Therapists (OTs), Physical Therapists (PTs), Counselors, Social Workers, Behavioral Specialists, and Psychologists to deliver online therapy services and evaluations via TheraWeb®, our proprietary, web-based telepractice solution. Want to Learn More? Please indicate your interest below.